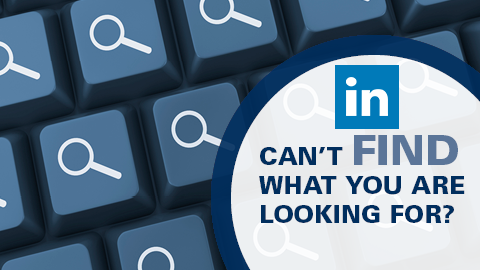 Searching on LinkedIn? As illustrated by some puzzling search examples in the posts LinkedIn-Based IQ Test and Advanced LinkedIn-Based IQ Test, LinkedIn search has been missing some results that apparently do exist in its database. Thanks to all for the comments and investigating. Special thanks to Rachel Evans and Adam Kovacs who performed an in-depth exploration of the unfortunate “phenomena” and provided some insights! Some searches I ran across in my own investigation lost as much as 98% of the results that should be there – but were not. Here is what has been going on: for each search, LinkedIn “personal” search would seemingly randomly interpreting the keywords we type in the keyword box as people’s first or last names (for example, it interpreted this way the word Morgan in one of the examples), or company names (it switched to interpreting as a company name when we entered Morgan Stanley) – or as job titles. Based on my previous knowledge and tests, LinkedIn wasn’t trying to cut results so that we would pay for a more expensive account. To the best of my knowledge this was a massive bug, some random code, perhaps “left over” from the good old times of the Economic Graph ambition. It lasted a while. Did the Software Engineers at LinkedIn read my past two blog posts? if your account got the rolled-out fix, you will see 312 results; if not, you will still see 6 results (as it was for all at the time of my last post). Generally, as we have seen LinkedIn search results being “missed” in the past, that mostly was due to the code and database design, specifically due to various unsuccessful attempts to semantically interpret what users want to search for. It’s never boring, is it?